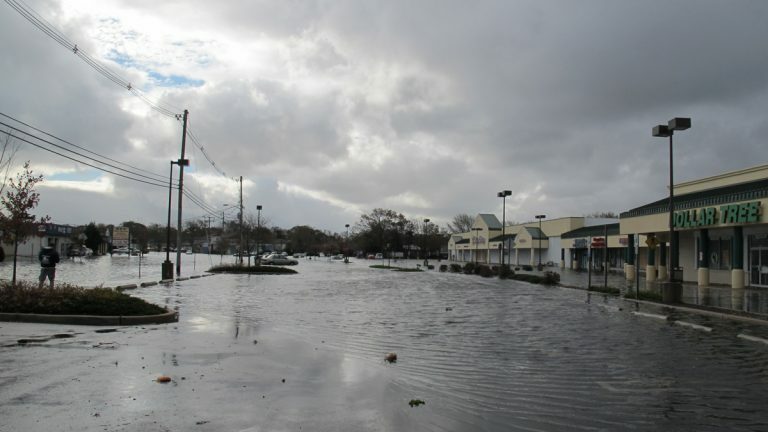 A new study predicts severe flooding along the East Coast will become more frequent. Princeton University geosciences professor Michael Oppenheimer, who helped write the study report, said greenhouse-gas buildup and global warming will cause sea levels to keep rising and hurricanes to become more intense. Coastal planning efforts are ineffective, Oppenheimer said, because it takes decades to plan, raise the money, and build projects to protect the coast from an increasing flood threat. And it’s tough to convince decision makers to commit money to preventive measures. “How do you get the political will to plan a big infrastructure expense, for instance building sea walls in some places or a surge barrier for a city like New York, when it’s tens of billions of dollars and you can’t tell people this is an urgent necessity that has to be in place today?” he said. But less costly precautions could also reduce the impact of flooding from future storms. “There’s no reason why we shouldn’t be raising air vents, which just let water pour into … subway systems, and why the entrances to tunnels and subways shouldn’t be blocked temporarily when we see that a big storm is about to come,” Oppenheimer said.